Starting off my day with a shirt that won’t get me pinched. And a bowl of my favorite cereal ever. 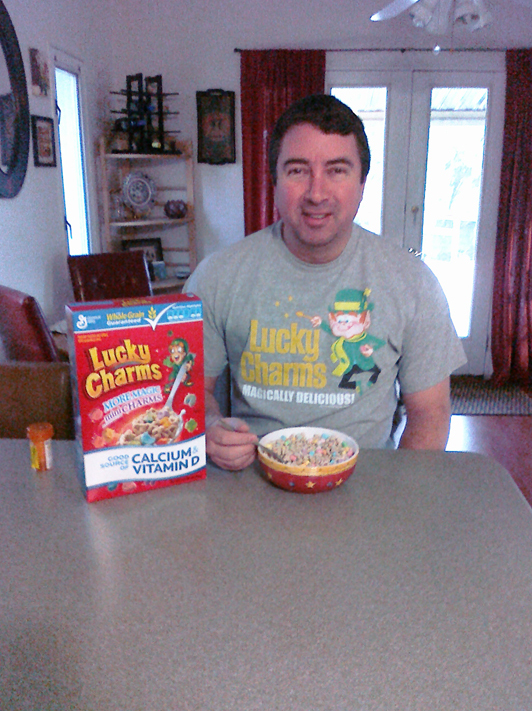 And speaking of Lucky Charms, head over to Cereal Wednesday to see a special St. Patrick’s Day episode. Lucky Charms aren’t just for breakfast. They make a nice evening snack — I’ve sat in front of the TV and eaten the marshmallow bits from the box on more than one occassion. Oh now that’s a good way to celebrate! Actually, Rott (by some strange chance that has to do with me buying a HUGE box of them) had Lucky Charms today. I don’t think he thought about St. Paddy’s except for the fact that he had to put up with the crock pot being on all day when it was already broiling here in the OC. You’re so full of awesome marshmallowy goodness! I only like the marshmallows in Lucky Charms but I love this post. delmer – Oh, I have those memories, too. 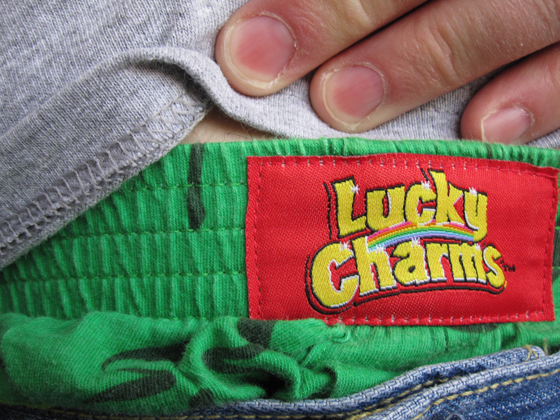 Maybe even recent memories of a Lucky Charms late night snack. sybil law – Thank you. Hope your St. Paddy’s Day was filled with liquid goodness. iron fist – Thanks, Vahid. hilly – Awww. Sweet like the Lucky Charms marshmallows. tori – Thank you. The marshmallows are the best part. kapgar – Thank you, t-shirt also from Target.